Have you ever had a moment in your life where everything changed? I had one of those moments when I discovered the Plastic Free July (PFJ) challenge, which is to refuse all single-use plastic for one month as a way of raising awareness about the amount of environmentally damaging plastic in our lives. I’d never heard of PFJ until the day I decided to do it, and I had no idea at the time that this decision would be so defining. But it was. Completing PFJ was exactly what I needed. My craving to do more for the environment was satisfied, and my goal to establish environmentalism as a family value was bolstered. Importantly for me, I could achieve these goals without financial investment, and without taking time away from my family. I simply learned to shop differently and make a few things myself. I finally realised I could do something about a problem that I had recognised for a very long time, but which I’d previously thought I couldn’t do anything about. The PFJ experience was so empowering that I now live every day trying to eliminate single-use plastic and I have redirected my career to pursue my passion, my blog Gippsland Unwrapped. I have changed the way others around me consume and do business. I have connected with many other like-minded people from around the world. I am the proof that participating in a seemingly small education scheme can have a profound impact on your personal empowerment towards sustainable living. Of course, not everyone will have the same experience as me, but it is possible this could be you too, so I encourage you to give it go. Once you register and have decided the parameters of your personal challenge, tell people what you are doing. It’ll be great to have their support but also, putting it in writing on your social media channels will increase your commitment and desire to succeed. I have loads of other valuable tips and thoughts about plastic free living on Gippsland Unwrapped, like this post, Bring Your Own: The Basics. Make sure you subscribe (click ‘Follow’ in the blue box to the top right) so that you don’t miss future updates. But tell me in the comments, what are your barriers or best tips for giving up single-use plastic? There’s a good chance I can help. I live in a rural area with young children so I’ve had to be an inventive problem solver! Want more help going plastic free? Just keep checking my events page for up-to-date details. Tammy Logan is the author of Gippsland Unwrapped, a blog committed to the pursuit of plastic free living. Based in Gippsland, Victoria Tammy combines her experience in conservation biology and community engagement with her dairy farming roots, to deliver a humble and honest approach to plastic free family life. Tammy’s passion for plastic free living started with the Plastic Free July challenge and since then she has been a woman on a waste reduction mission who loves to share her findings with the World! That has been the major motivation for me too – the connection with our ZW network. I live in a small town in BC, Canada, and ZW is… not a thing here! It makes it really hard to exchange experiences and troubleshoot with people here; there is also a lot of judgment, so it has been nice to find this community online 🙂 That is so promising that you believe you are making an impact in your community! If ZW could become trendy, it would be the best trend to ever have surfaced 🙂 Just hope it sticks around and catches on quickly. Thanks Aileen, I’d love to see your pictures. You can email at tammyl@gippslandunwrapped.com if that’s easier. I’ll check the link again but it was working last week . Link is still working for me Nola. Thanks for sharing this, I’ve signed my family up for this! 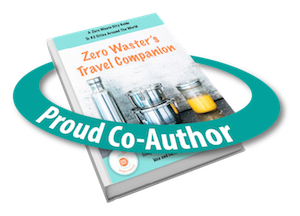 I’ve been wondering how to start to dip my toes into a zero waste lifestyle, and this may be the push I needed.